David has extensive experience of the Co-operative movement, the Third Sector, policy development and representing service consumers and service users. 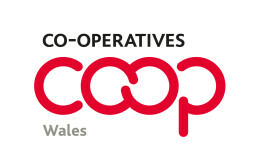 Trustee: Co-operative Foundation (2014-2016). Government Food Adviser (2000-2006); UK Healthcare Regulator (2003-2008); Co-operative Group Main Board (2014); Co-operative Group Specialist Board and National Values and Principles Committee (2014); Co-operative Group food policy working group and its Ethics and Social Responsibility Committee (2015-2016); Co-operative Group Senate (2014-2015); Welsh Regional Board (2009-2014). David trained as a Dorchester chef; Directed the first EC funded Wales Anti-Poverty Programme; Pioneered Community Law Centres, Home Care and Repair, local Co-op Development Agencies in Wales, Social Co-operatives, Welsh Food Alliance and Wales Progressive Co-operators. Deacon: Canton Uniting Church, Cardiff. His qualifications include: BSc (Economics), Cardiff; MA (European Human Resource Management) Keele; Special Diploma in Social Sciences (Ruskin College); Professional Food Management and Teaching qualifications.